Seeing that Verizon is on the verge of launching its very first Windows Phone 7 powered device with the HTC Trophy, AT&T is obviously keeping a watchful eye to make sure their offerings are surely regarded as still fresh. However, the Samsung Focus, HTC Surround, and LG Quantum are starting to show their age, so it’s probably a good idea to finally freshen up their lineup. 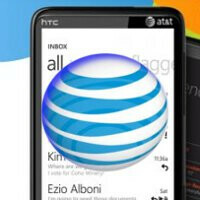 With that in mind, AT&T’s Facebook page recently posted some exciting news about their next Windows Phone 7 device – the HTC HD7S. In fact, the posting mentions that the smartphone will begin to go on sale starting on June 5th for the customary on-contract price of $199.99. Although T-Mobile customers have been living with the handset for some time now, we’re still sure that AT&T customers will be thrilled nonetheless to see this one coming. Seeing that it’s going to be launching in June, one would easily suspect to see it having the “NoDo” update already on board to give people the most up-to-date experience. But what I understand is that Microsoft is very specific on the requirements on these W7 handsets, from UI requirements to physical lay out, even the processor size. Have I got that wrong?